MIRA Konjac Beauty Sponges are gentle, soft as silk and packed with antioxidants. They help clear blackheads, blemishes and acne, gently cleansing pores and leaving a healthy, glowing and clear complexion. Lovingly made from the finest natural materials, MIRA selected the Japanese Konjac plant to create a new skin cleansing “must-have” that is ultra soft, hydrating and 100% natural. 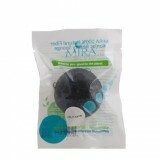 MIRA is the premium brand for pure Konjac beauty products.